Fun Size Horror Releases Two Free Film Collections! Check out the details on two free - yes free, as in zero dollars down - film bundles. Check out the details below. Fun Size Horror has just released two free film Bundles with BitTorrent Now which includes two film premiers and some never before seen shorts. Fun Size Horror has officially partnered with BitTorrent Now and has released their first two FREE Film Bundles! These bundles include collections of movies from FunSizeHorror.com, their contest winners, and some never before seen including the exclusive premier of Patrick Rea’s new film, I.V. LEAGUE. 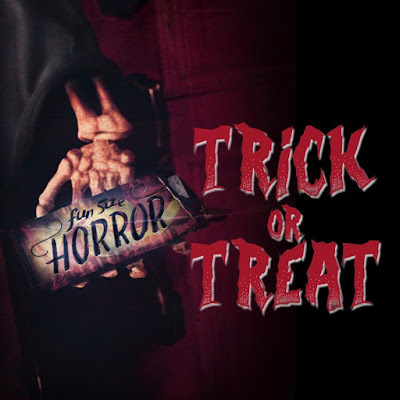 The first Bundle, TRICK OR TREAT, includes Rea’s film, Matt Glass and Jordan Long’s premier I HATE MONDAYS, and fan favorite Fun Size Horror Originals along with new films only available on BitTorrent. Bundle SHOCKING SUBMISSIONS is all about Community! This Bundle is a collection of Fun Size Horror contest winning films by Steve Desmond, RJ Wilson, Micah Roland, and Will Mayo, and standout films submitted to Fun Size Horror. Fun Size Horror produces and distributes short horror films on their platform and across multiple digital outlets. The company strives to help filmmakers produce unique content and reach their release goals. You can watch more of their work in two feature anthologies, Volume One and Volume Two, currently out on VOD worldwide. Any filmmaker can become part of their growing community by submitting their own short films at www.FunSizeHorror.com!